Are you new to Kelowna or looking for an inclusive Church? 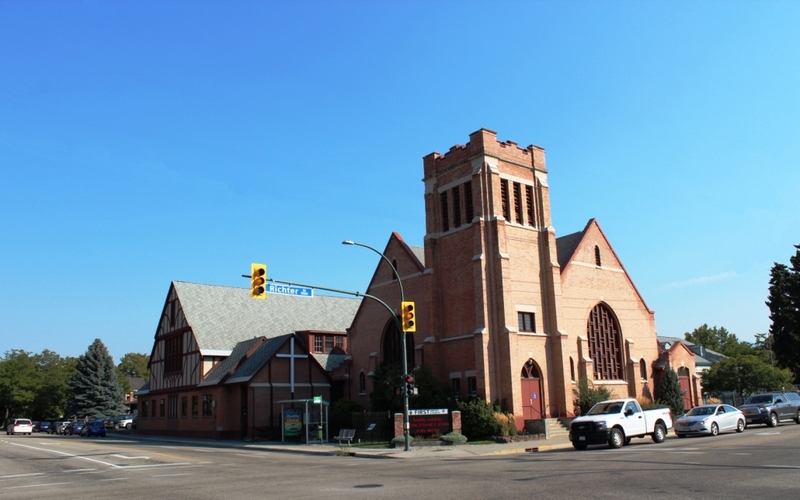 One of the oldest churches in Kelowna, First United is a contemporary faith community in a traditional setting. Our two worship services are different, because we recognize that people are looking for options when they come to church. At 8:30 a.m. we gather in a circle, and hymns are played on the piano or guitar. There is a sermon, and the opportunity to add your thoughts afterwards (but only if you wish). We also celebrate communion each week, and everyone is welcome to receive the elements. At 10:00 a.m. things are a little more “formal” although we don’t really like that word! Hymns are played on the piano or organ; the Alleluia Singers (adult choir) present an anthem most Sundays, and on the last Sunday of the month our Hand Bell Choir, the Alleluia Ringers, performs. There is a special time of conversation with and for children in the service before they head out to Sunday School. Our church school program for children ages 3&up is offered every Sunday of the year. Communion is celebrated roughly every 6 weeks, and again everyone is welcome to receive the elements. We are a congregation of the United Church of Canada. 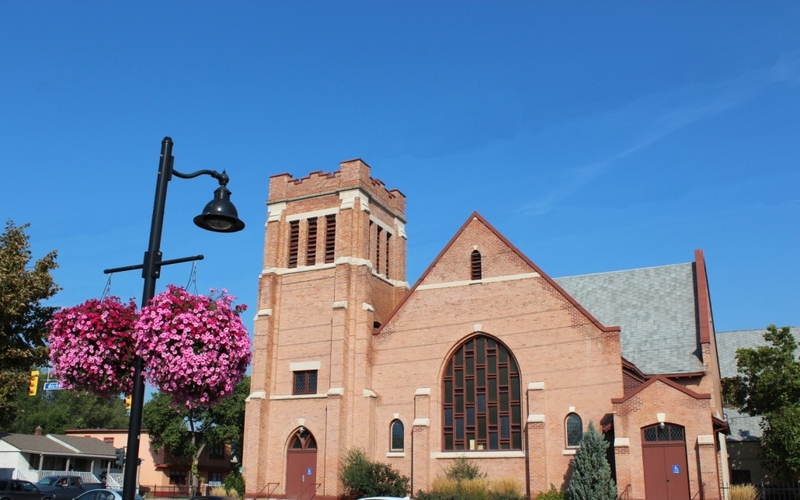 To read more about our denominational history and beliefs, click here. We are located at 721 Bernard (at Richter) in downtown Kelowna. We have a parking lot behind the church (enter in the alley between the armoury and the church, off of Richter). There is also a lot of street parking around the church.